"A Service that Bails, Gives Hope and Reintegrates"
We provide you with the initial opportunity of freedom, to prepare your defense, by getting you released. During the time of bail, we can direct you to those professionals that may be able to redirect and change some concepts and dilemmas in your life, whice may have a positive outcome in your criminal case. This is the final process to restoreand reunite! The Rapido Bail Bonds family takes this step very seriously. 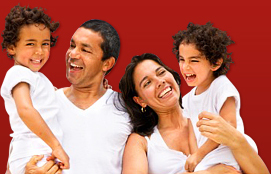 Reuniting you with your family, friends and restoring your confidence. Knowing you are surrounded with the people that care for you well being and success, is theback bone of our process. "Knowing you are Not Alone"